We’re always told not to judge a book by its cover. I’m a big supporter of that advice, but I think so many of us are guilty of the name game, too. I’m 32 and I still remember that lovely little lesson in poetry writing. That was just a bunch of 5-year-olds having fun with my name. But I think we often pass on great foods, experiences, movies, songs, opportunities because of what they’re called. You’d probably pass right by it without knowing that it’s a British pudding made with dried fruit or raisins. For me, the word “curd” sets off a series of guttural reactions that aren’t really pleasant. I think of curdled milk or even a turd. But the latter is just the pee-wee poet in me. But still. It’s a bit off-putting. 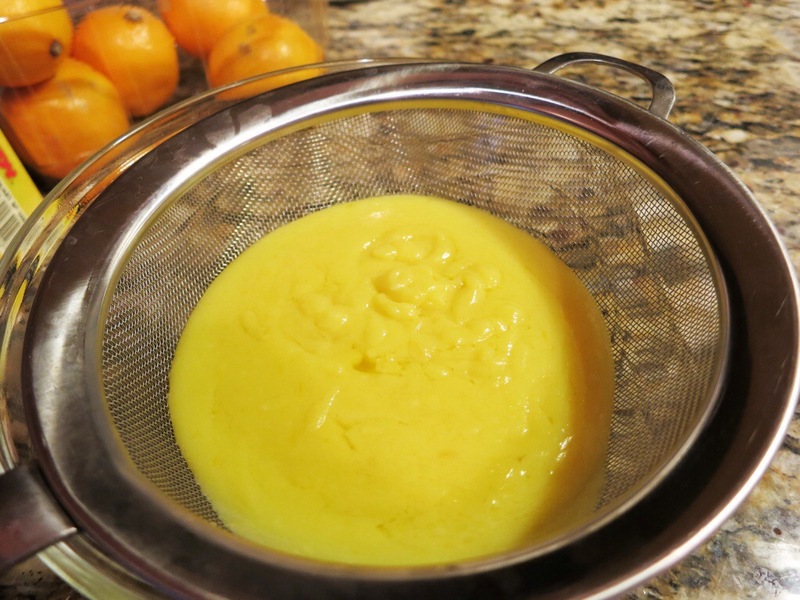 Still, I’ve been dying to try making a fruit curd. Ick. Curd. I just shivered. I just don’t like the name. 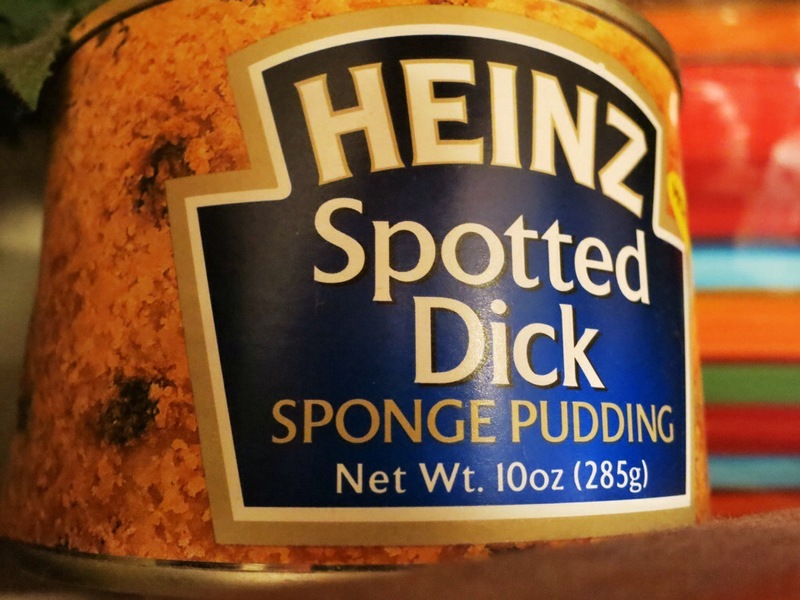 It’s kind of like ointment or discharge. They just make me feel uncomfortable. Well, when the dictionary gives you lemons, make lemon curd. 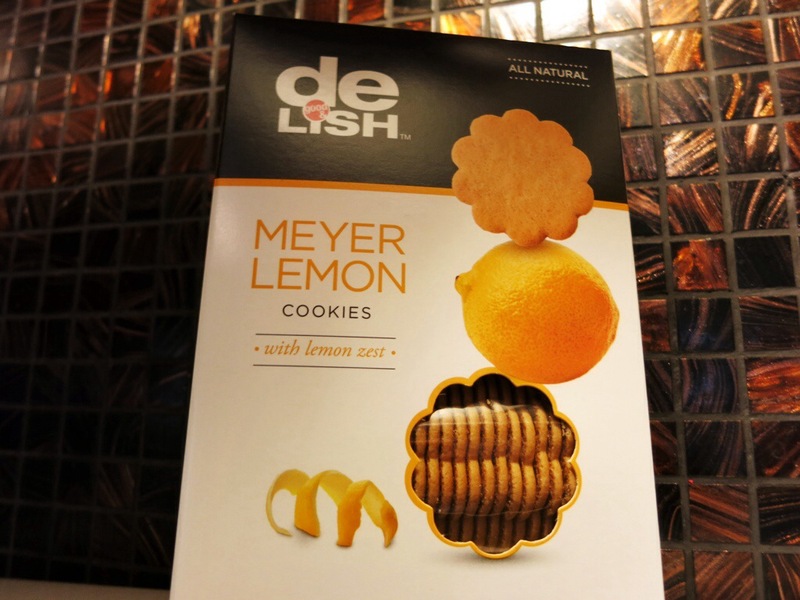 If you’re a loyal reader, and I hope you are, you’ll know that I adore lemons. I can’t get enough. 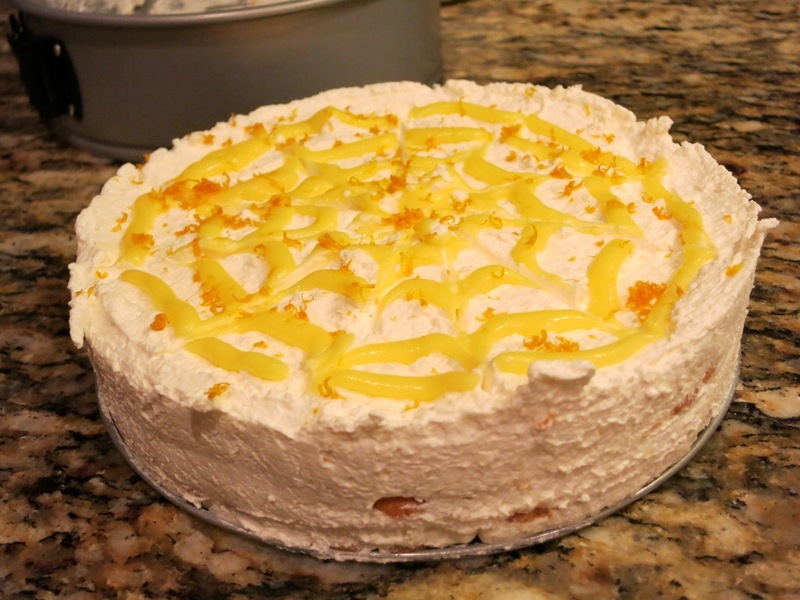 And Meyer lemons, well, forget it. I need a support group. I recently found a tub of Meyer lemons at Sam’s and I had to have them. With that many staring at me longingly, I felt like this was the time to curb my curd curiosity. 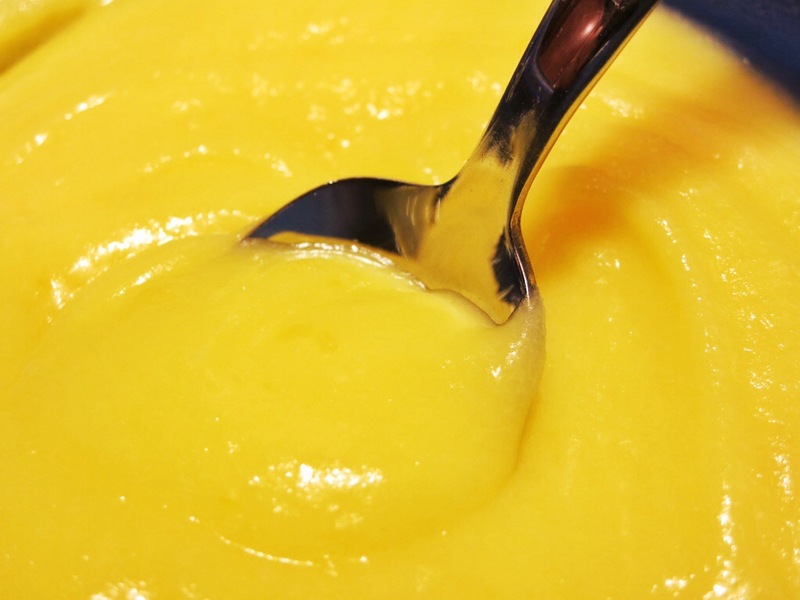 A fruit curd is a mixture of eggs, juice, zest, and butter. 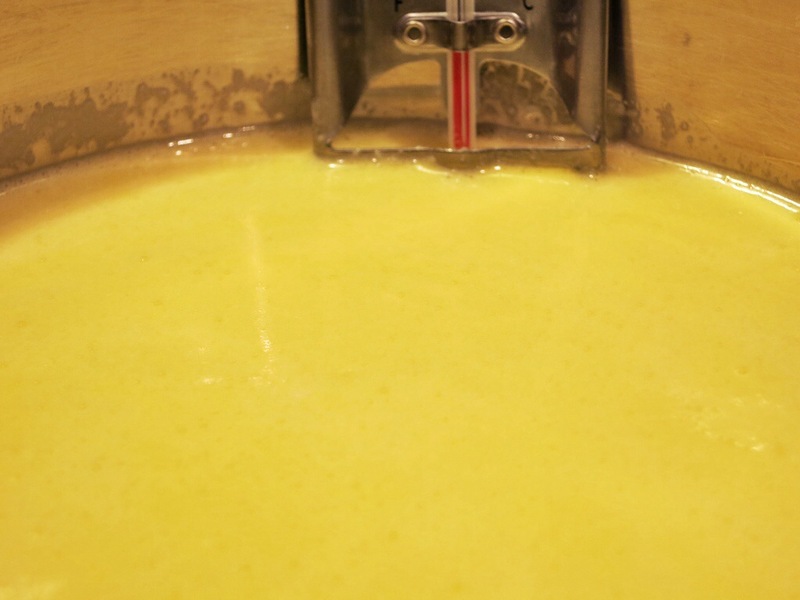 The butter and the high amount of juice and zest make the curd different from a typical pie filling or custard. Many recipes will call for a double boiler and whisking till your arm falls off. That’s not for me. My mixture went right into the pan directly on the heat. I tried it two ways. The biggest difference was the amount of sugar. 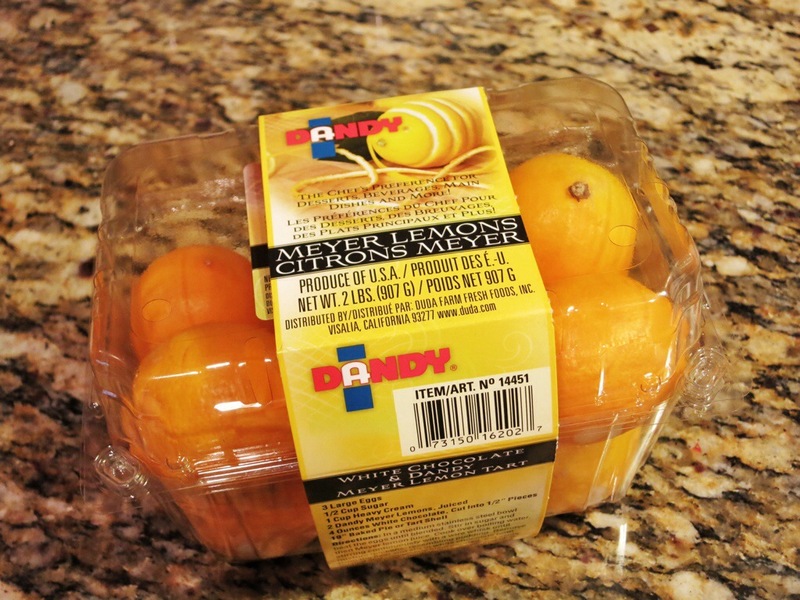 With Meyer lemons you typical use less sugar than you would when working with traditional lemons, because the Meyer variety (an alleged love child of a lemon and a mandarin orange) is sweeter. My partner in cuisine crime and I preferred the batch with more sugar. 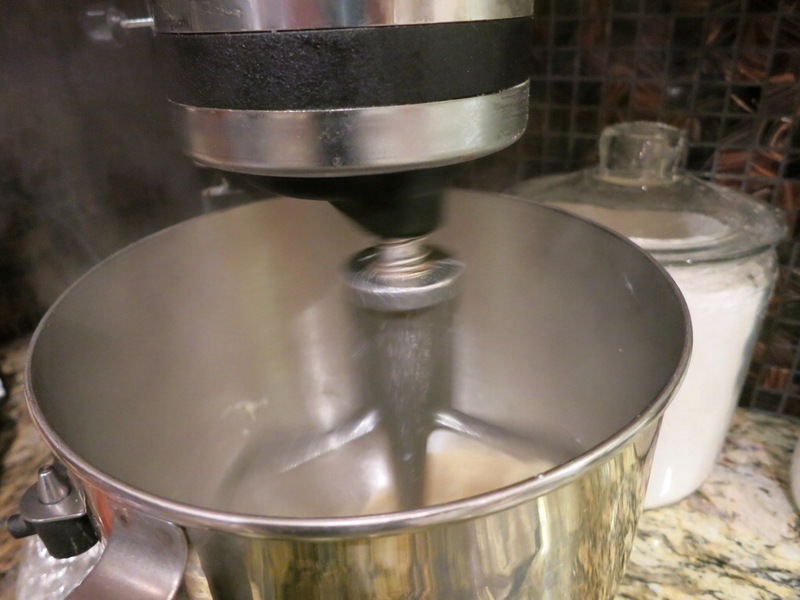 In the bowl of a mixer, combine the sugar and the butter. Cream together. Add the eggs and yolks, one by one, and mix after each addition. Add your lemon juice, mix. Your concoction may look curdled at this point. That’s ok. Mine didn’t, but just be warned that it could happen to yours. I think I mixed mine a bit too much, which blended everything together to the point where the lemon juice didn’t mess with the butter. Add the mixture to a pan. With my first batch I eye-balled it and I think I screwed it up. I let it get too hot and it boiled. I ended up with a grainy curd. Ew. Say that out loud. “GRAINY CURD.” Wretch. Gag. Barf. For my second batch I used a candy thermometer. I recommend that you do this. If you don’t have one, keep the heat on medium-low and make sure it doesn’t boil. If it starts to bubble, remove the pan from the heat, stir. Turn down the heat and put the pan back on the burner and continue cooking. Bring the mixture to medium heat, stirring constantly. 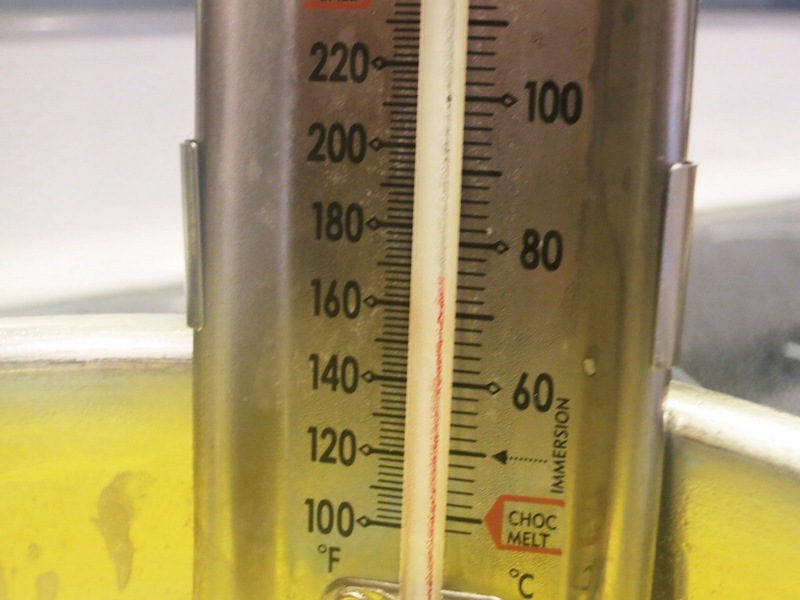 When the thermometer hits 170 degrees, remove the pan from the heat and stir in the zest. I put the first batch through a strainer to catch the zest and any bits of egg that may have cooked. It didn’t stop the graininess. So, for the second batch I didn’t use a strainer. Plus, I like the idea of having the zest in there. And to be honest, I think the zest melts into the curd. It’s ready when it coats the back of a spoon. 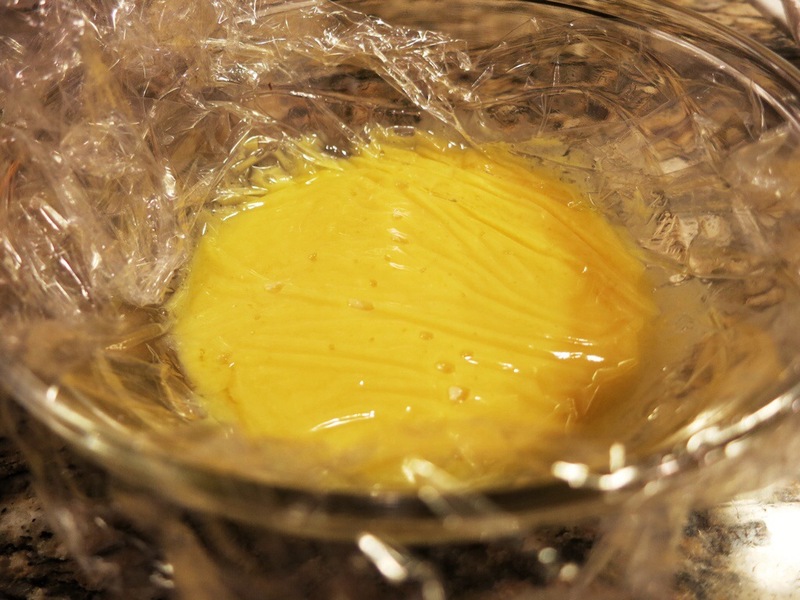 Put the Meyer lemon curd into a bowl and then put plastic wrap directly onto the mixture. This will keep a skin from forming. Skinned curd. Can you imagine? Let this chill in the fridge for at least an hour. It’ll thicken over time. This made my dreams come true. It’s light, creamy, and unbelievably luscious. It has just the right amount of tartness. I could’ve eaten it with a spoon, but with fruit curds you don’t typically do that. Rather than just spreading the Meyer lemon curd on a cookie or toast (traditional use), I wanted to celebrate the creation. 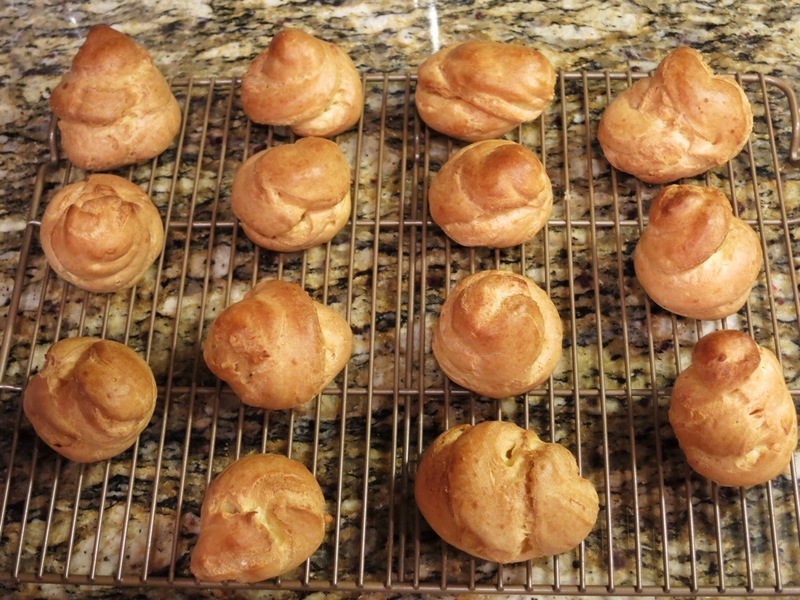 I used it to make cream puffs and an ice box cake. Hold onto your hats, weave, ears, whatever is handy. 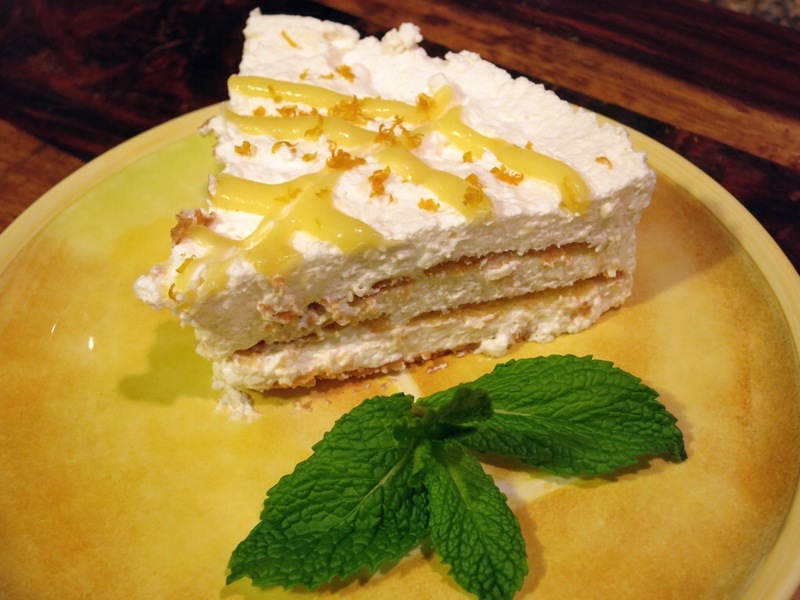 These desserts will make you drool. I’m drooling writing this. There’s a puddle on my desk. 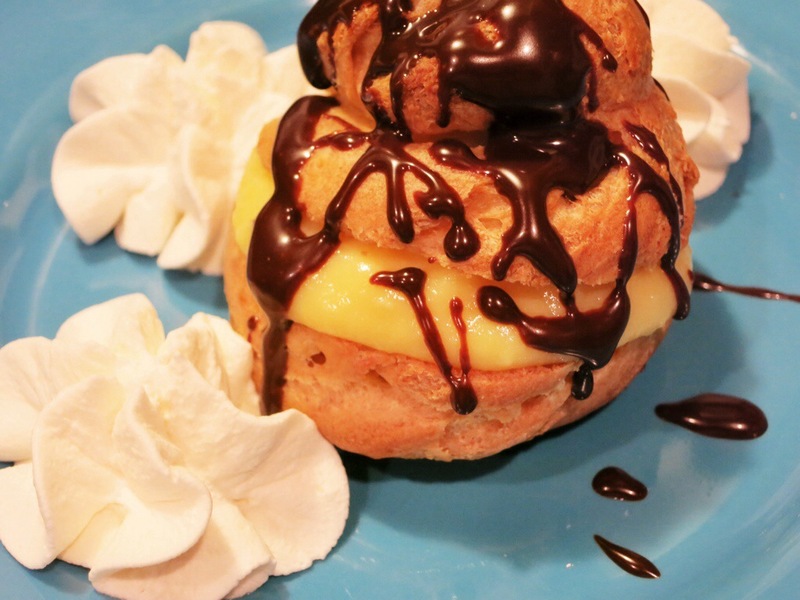 Cream puffs are easier to make than you think. I promise. 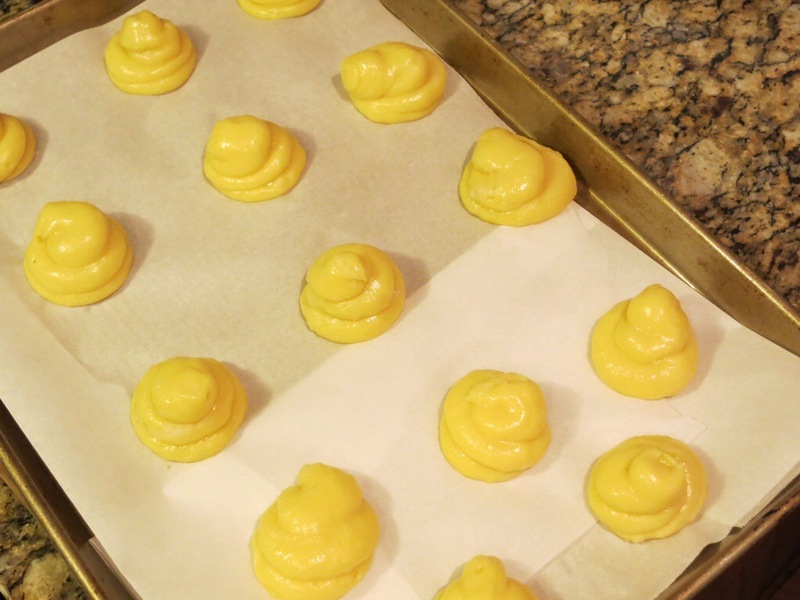 If you’re making a savory cream puff (with cheese, for instance) don’t use the sugar. In a pan, combine the butter, water, salt, and sugar. When the butter melts, bring the mixture to a boil. Turn the heat to low and add the flour. 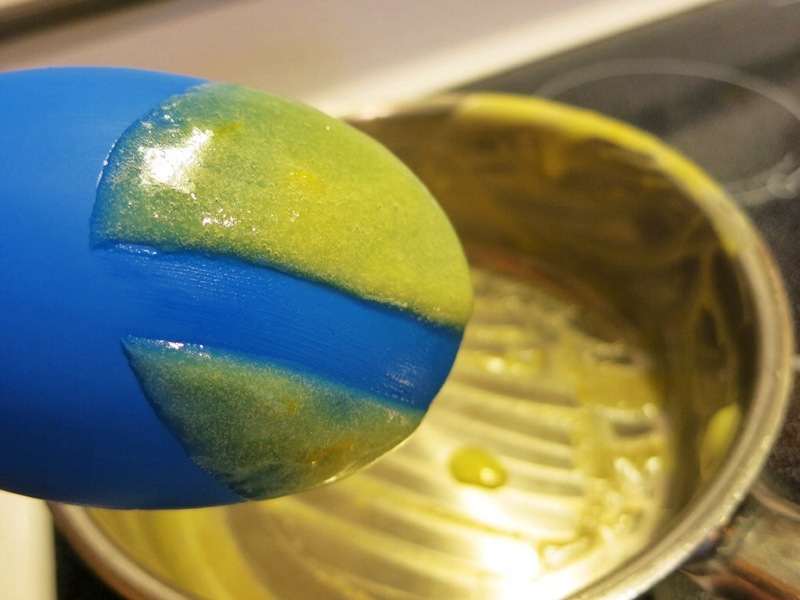 Stir constantly until the mixture forms a ball and pulls away from the sides of the pan. Now, dump the dough ball into the bowl of an electric mixer. Beat the dough for a minute or two to allow steam to escape. That’ll help keep the eggs from cooking on impact. Now mix in the eggs, one by one. Stop beating when the dough is shiny and smooth. Transfer the dough to a pastry bag or resealable bag. Snip the tip of the bag. Pipe the dough onto a cookie sheet lined with parchment paper. 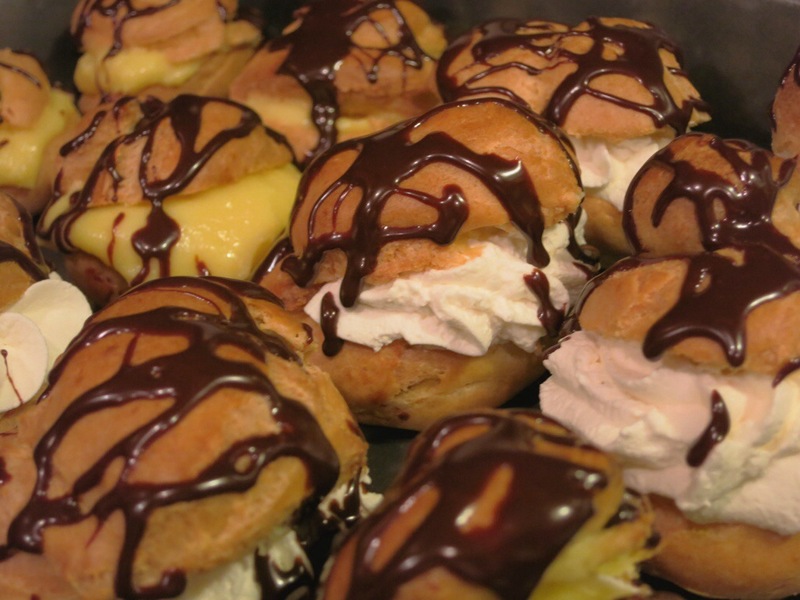 Allow the cream puffs to cool. I split them open and filled them with the lemon curd, then drizzled dark chocolate ganache onto each one. 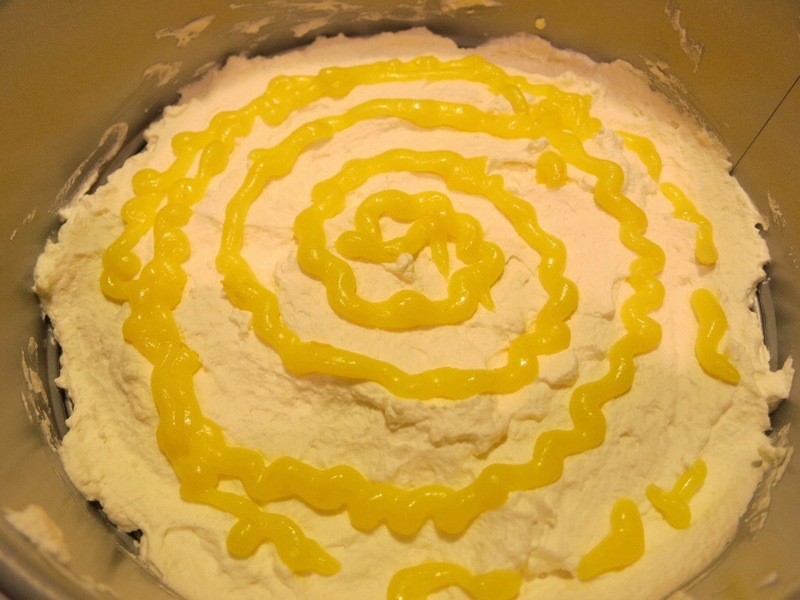 The lemon curd recipe above should be enough to fill one batch of cream puffs. If you have left over pastry, fill it with whipped cream. This is a lemon pie on steroids, but in a steroid-free body. The icebox cake was inspired by a tweet sent to me by @Svnisus. 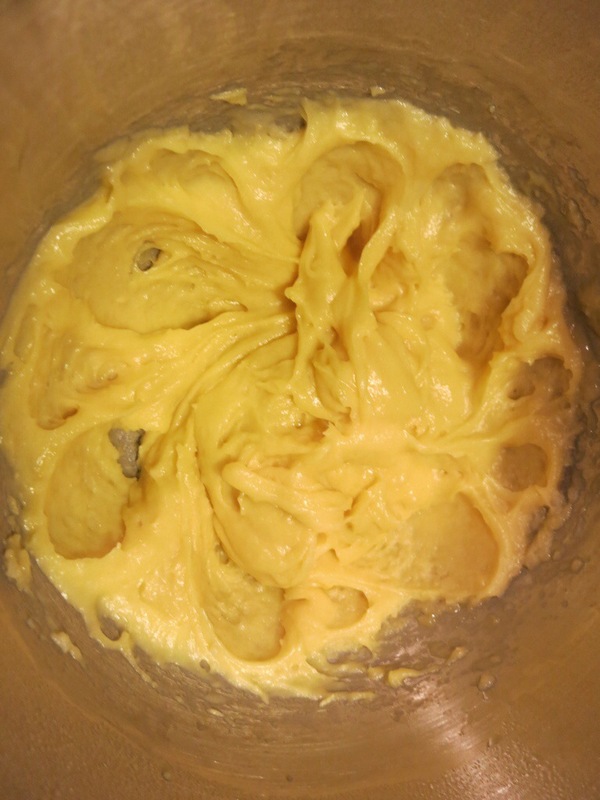 In the bowl of a mixer, whip the butter until soft. Add the cream, extract, and sugar. 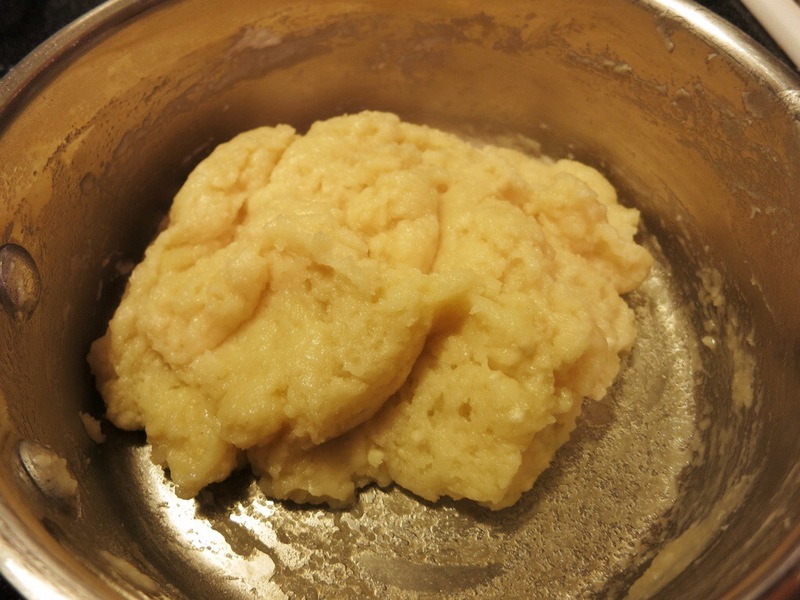 Beat until mixture forms stiff peaks. 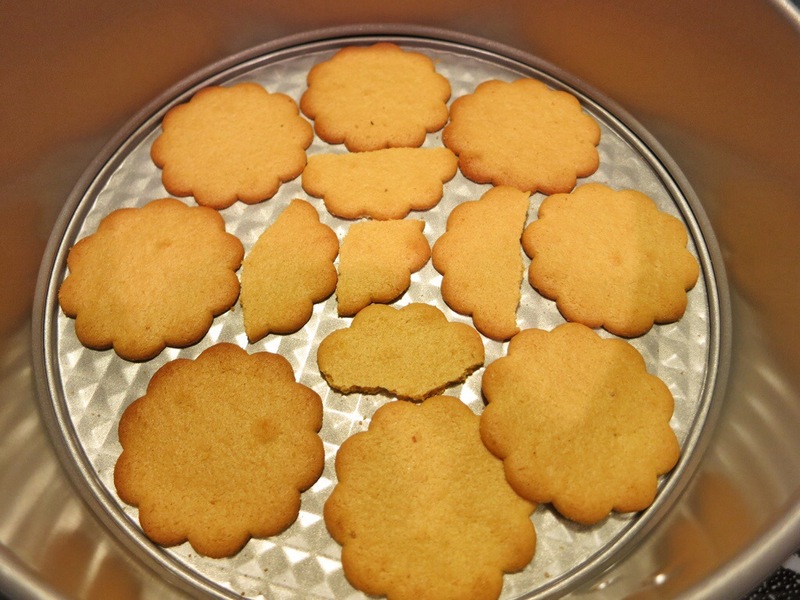 In the bowl of an 8-inch spring-form pan, create a layer of wafer cookies, breaking some to fill in gaps. I got my cookies at Walgreens. You can use any flavor, really. I’ve seen ginger, chocolate, lemon, plain. Have fun with it. Top the cookies with 1/3 of the whipped cream. Spread it out to cover the pan. Put the lemon curd into a small resealable bag and snip the tip. Pipe a swirl of the curd onto the whipped cream. Top with another layer of wafers. Add another third of the whipped cream. Pipe on more lemon curd. Add another layer of cookies. Add the remaining whipped cream. 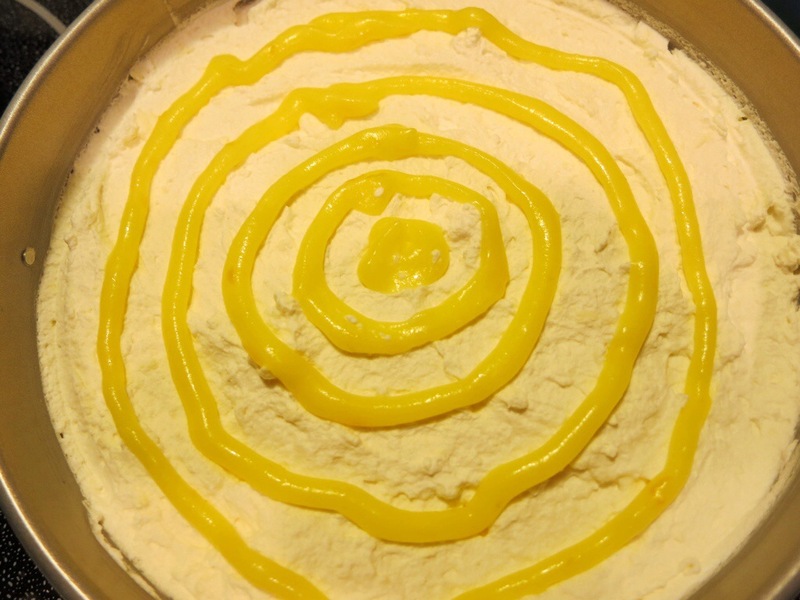 Now instead of swirling the curd onto the cream, create circles like a bulls eye. 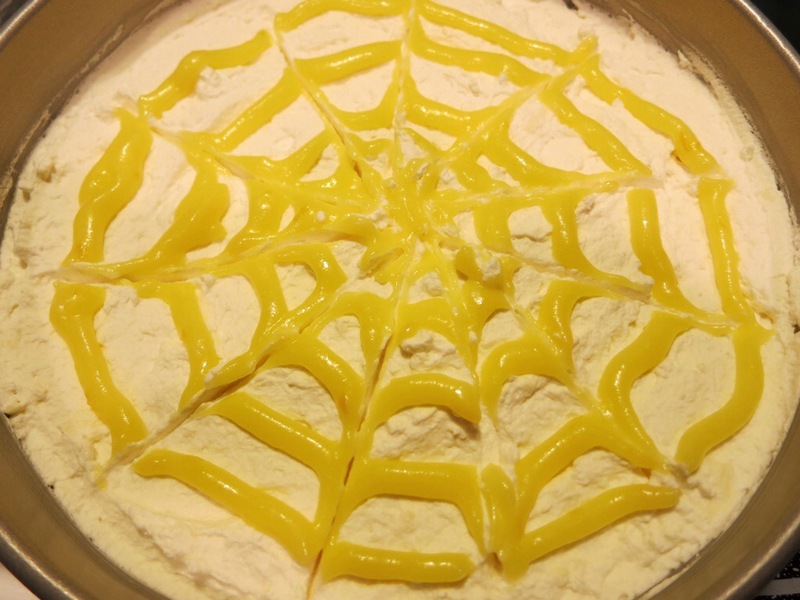 Then, take a butter knife, and lightly draw lines from the center of the cake to the edge of the pan. Almost like you’re slicing it. This creates a spider web pattern. Cover with plastic wrap (don’t let it touch the cake) and refrigerate for 6 hours or overnight. To serve, run a knife around the edge of the cake to separate from the pan and then remove the pan’s ring. This was like eating a lemon cloud. It’s light, airy, creamy, and smooth. The wafers soften because of the curd and cream. This may be my new go-to summer dessert. I’m now a curd lover. Curd. Curd. Curd. Curd. Curd. I’ve typed it. I’ve said it. And I’m still hungry for it. What name scares you away?